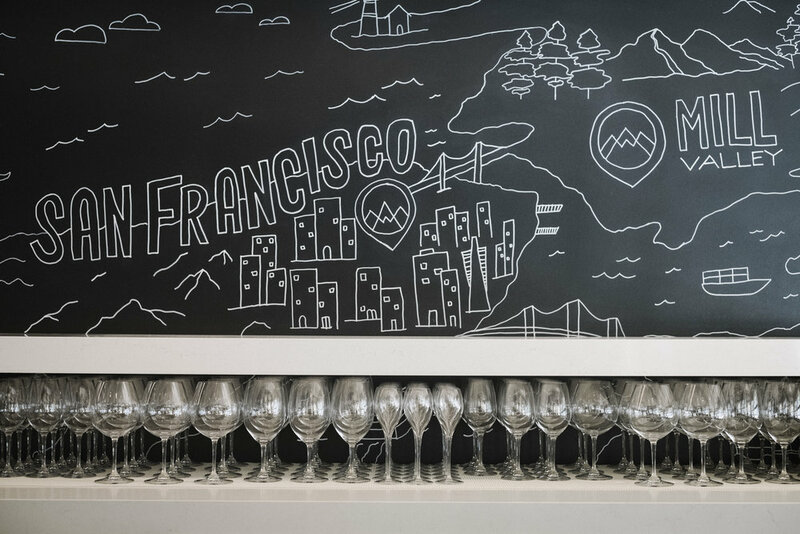 After 4 successful years at their San Francisco location and consecutive Wine Spectator Awards of Excellence later, Chris and Lindsey Wanner are bringing their expertise and stellar wine program to a second location in Mill Valley, CA. We were tasked with consultation on interior design, outdoor signage, and interior mural design. 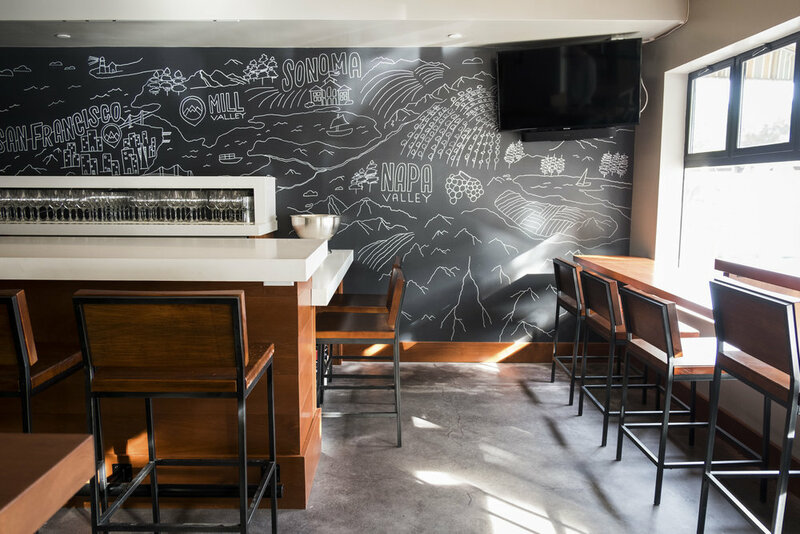 In order to carry over the playful nature of the illustrations from their previous location, we drew this large map mural by hand. We had an opportunity to turn some overlooked side door windows into fun invitations to have a drink. 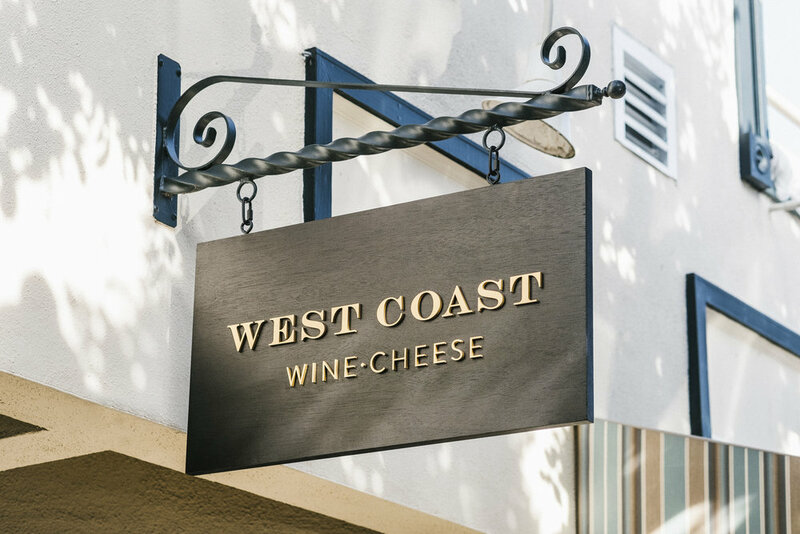 We worked with our good friend Leslie Jones at Writerly.Co to expand on West Coast’s approachable sensibilities with some tone-setting lines and directional signage.